Here at the Hanging Gate we welcome children and believe that they are just as important (if not more so!) than the grown ups. It is our intention that they shall be catered for in as many ways as possible and that if we have satisfied kids then we will also have happy parents and carers, yey!! Our Children's Menu has many children's favourites, and some that will please mum too!! To see what we have to offer, look at the special Children's Selection on our Bar/Restaurant menu. We are tremendously delighted to say that we are officially 'Baby Friendly’, thanks to the very kind parent for nominating our parent and baby room to Mother and Baby magazine. The room has been decorated with baby in mind and includes some of the essentials such as nappies and wipes, along with some brightly coloured bits and pieces to take baby’s mind off the job in hand! We also have complimentary jars of Heinz baby food available. To keep the ickle ones busy we have a colouring corner which boasts a range of activities including mazes, word searches, fun facts as well as the ever popular ‘colour me’ picture which our colouring co-ordinator Elyse judges monthly with prizes for the best. 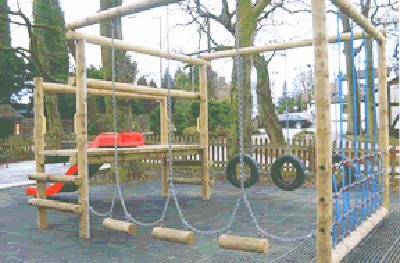 For the warmer months of the year we have an outdoor play area.